Kelefesia's long tongue of a beach, viewed from the bluff. Kelefesia is part of Tonga's magnificent Ha'apai island group. One of the most awesome aspects of cruising is the cruiser community. Friendships are quickly formed, information is readily shared. Even though we're often drawn to cruising by the desire to get away from it all, like the early pioneers, we know we're in this together. 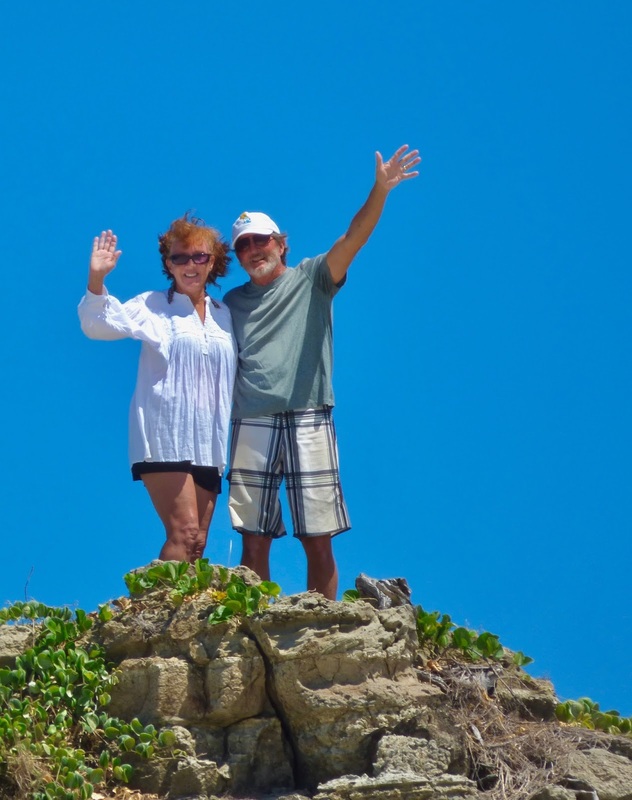 Steve and Patty, our friends from s/v Armagh, from Kelefesia's bluff -the site of that fabulous view in the first image. Sometimes, our connectedness saves lives. Other times, it makes the crucial the difference between the mundane and the magical. This post is a big, belated thank you to our friends Patty and Steve of Armagh; we cruised together from the Galapagos until New Zealand, reconnecting again in Fiji and New Caledonia. Many of our best cruising memories are times spent with our friends from the good ship Armagh. 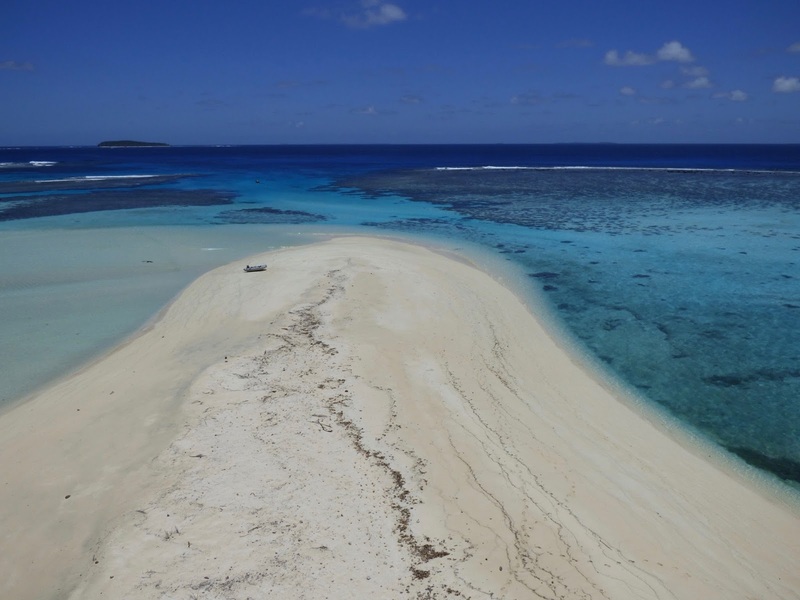 Tonga's Ha'apai islands. 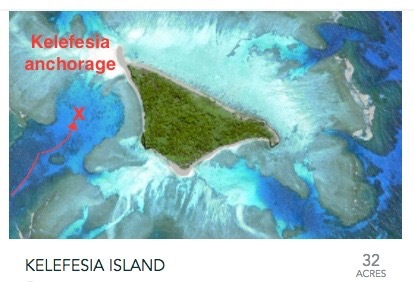 Kelefesia -- too small to list -- is part of the Ha'apia island group. When Wayne was antsy to leave Tonga for New Zealand, Patty convinced us we'd be making a big mistake if we bypassed Tonga's Ha'apai islands. Thanks a variety of weather challenges, we weren't that wowed with Tonga at that point. Patty prevailed, pointing us to a post on Ha'apai's crown jewel, Kelefesia, the southern most island in the Ha'apai group, and only 35 miles north of Nuku'alofa, where we would check out of Tonga before heading to New Zealand. We agreed to join Armagh, crossing our fingers the weather was sufficiently settled, especially for Kelefesia, which is neigh impossible to visit otherwise. Luck was on our side! 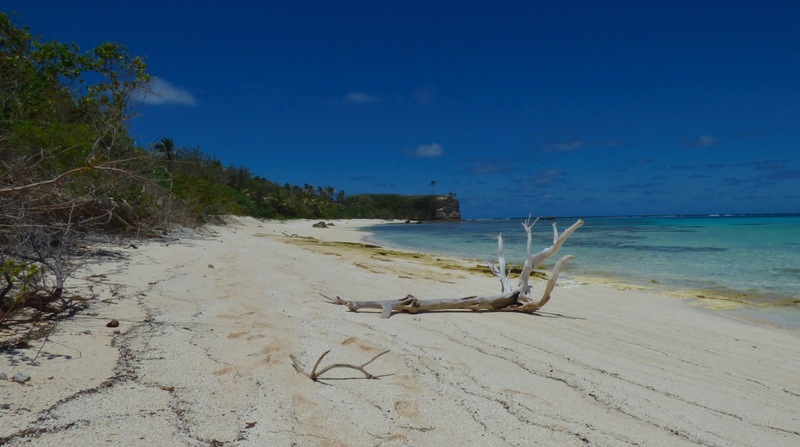 Driftwood on the beach at Kelefesia, Tonga, a Ha'apai group island. 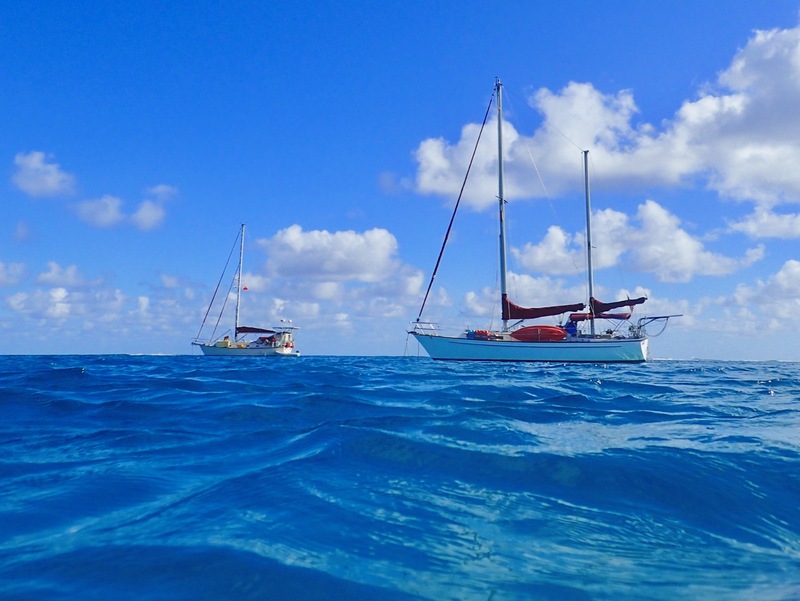 While Ha'apai's Uoleva was cruiser party central, a place of splendid sunsets and good company, and Ha'afeva was a great place to snorkel a shipwreck and clean a hull, Kelefesia was pure magic. We should've realized that something amazing was in store for us when we caught a fish (an embarrassingly rare event for us) and flew past Armagh, another rarity. We found out later our speed advantage was due to Steve's forgetting to pop up the wheels of his dinghy, dragging it reduced their normal boat speed to a crawl. Where we anchored in Kelefesia. 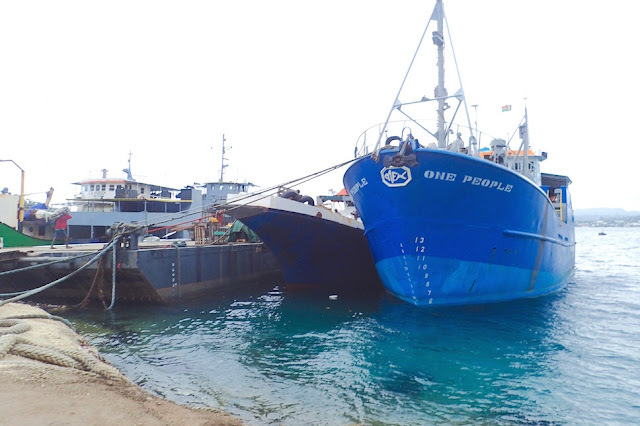 Ariel image pilfered from Islands for Sale. Click here to watch it on commercial-free on Vimeo. 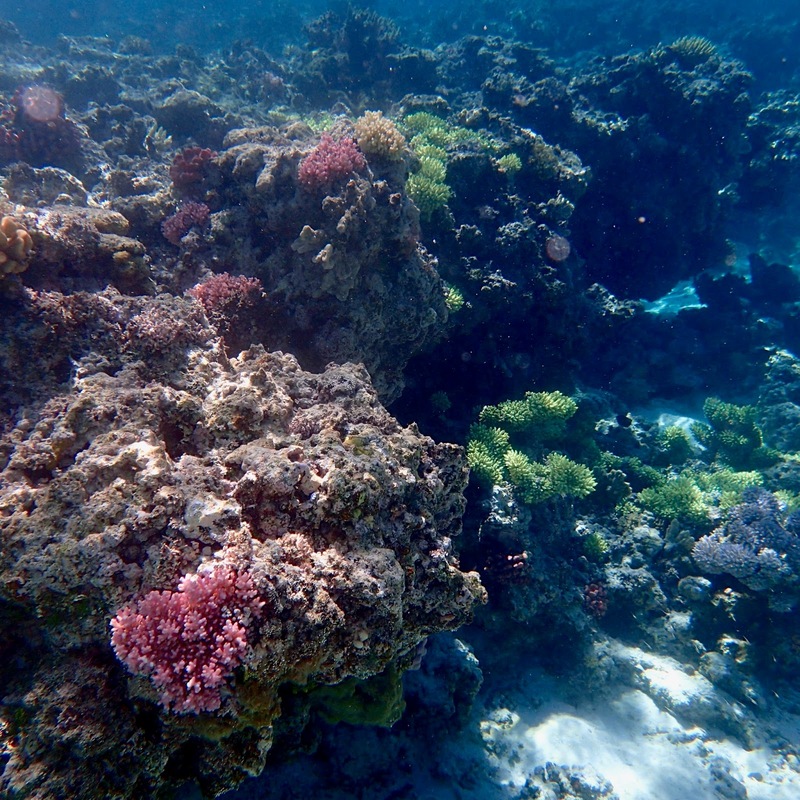 Fabulous coral gardens await those who visit Kelefesia. 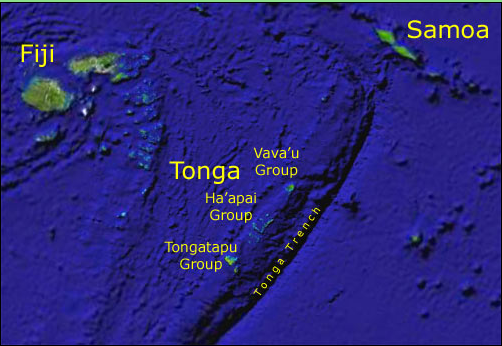 Tonga's Ha'apai island group. This 5-minute video was inspired by Tonga Ha'apai's Kelefesia island, which in researching for this video I discovered is for sale! We anchored at S20.30.132 W174.44.429 October 27-28, 2016. Kelefesia wins the honor as one of my top 10 South Pacific cruising picks, no mean feat given we sailed over 18,000 miles. We've since sold our sailboat in Australia. We're currently in Portland, OR, USA looking for work. 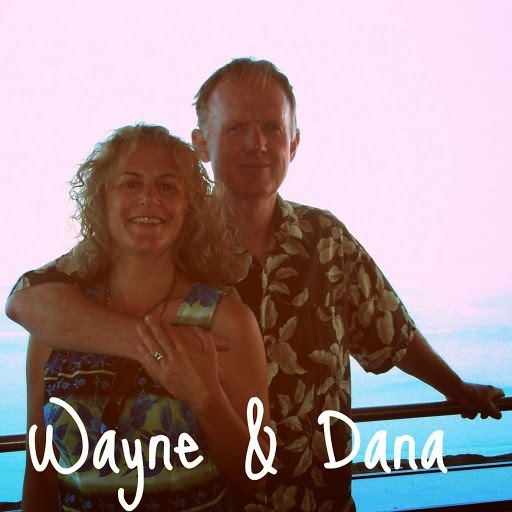 Someday we hope to return to cruising, and to see our friends Steve and Patty of Armagh again. s/v Journey and s/v Armagh at anchor of the small island of Kelefesia, Tonga.